Several years ago my husband and I were introduced to a fabulous place called the Desert Star Playhouse. 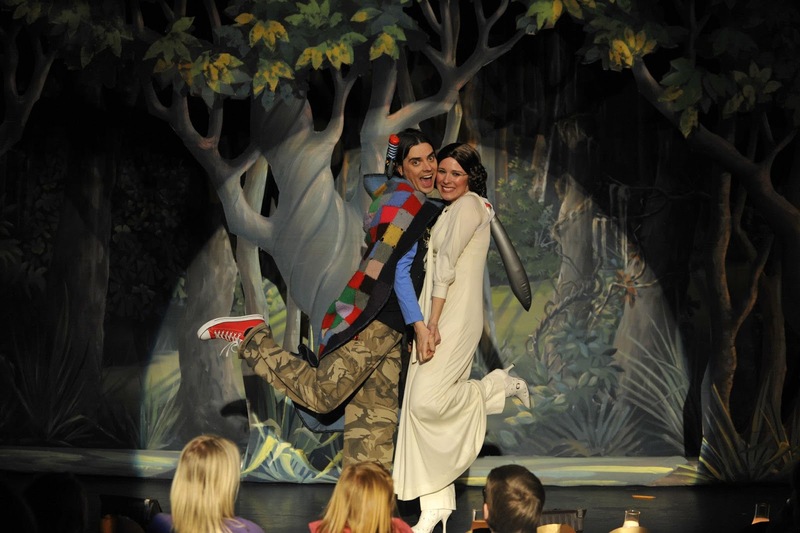 The Desert Star Playhouse produces family friendly comedic musicals. It is very family friendly (for children over 8ish) and has yummy food too. It is one of Steven and my favorite date nights because we get food and a show. We have purchased season passes several times and it really is the best bang for your buck. With the way our schedules are we usually get to see a show around Valentines day, in the spring, my birthday (June), our anniversary (August), Steven's birthday (October) and a Christmas date. Since our season pass is payed for in advance all we have to pay for is the sitter and how much we want to spend on food. Sometimes it's just ice cream, other times it's pizza and smoothies. Science Fiction geek Walter gets a “Dear John” from his fiance because he spends too much time fantasizing about "Star Wars" and "Lord of the Rings." Now Walter must journey to Middle-Earth with a zany band of misfits to return balance to the the world...and his girlfriend. Come along on this hilarious adventure to find out if Walter can defeat the Dark Lord Sharon and become a hero to couch potatoes everywhere. Walter was played by Corey Brandenburger who is a regular there and is very funny. He did an awesome job. As someone who loves all types of theater one of the things I look for, especially here, is when the actors push the others. Sometimes they try to break the others out of character, as the audience sits back and watches them go on tangents or the other cast members try to hold straight faces. Corey is good at filling in those moments and has perfect comedic timing. Another cast member was thrilled to see was Kerstin Davis. She was in several of the first shows we saw and I just loved her and the characters she portrayed. Then with all the moving around we did the few shows we saw she wasn't in. When I saw it was her I turned to my husband to remind him she was one of my favorites. She is fun and comfortable going off script, plus I love some of the voices she does thru the show. She choreographeed the show as well, adding to her talent pool. Gollum was played by Mary Parker Williams who not only is the veteran at the Desert Star but the assistant director. She makes some of the best faces and nails her double personality character. Dog the Bounty Hunter was played by Bryan Dayley. My husband and I agree it was so fun to see him in this role (he also nailed his accent) since we remember his very first performance at the Desert Star. He has come a long way and has made it onto our list of favorites. The ensemble as a whole did an excellent job together. There were a few new faces like Jeff Jensen who impressed us with his singing in the Olio, and George Anderson who was equally as funny to watch. Carli Christoffersen played Bilbo and is very talented. We have seen her a few times before and I always look forward to when she sings a solo in the Olio at the end of the show. The best part is you don't have to be familiar with whatever movies they are doing a parody of in order to enjoy yourself. You get a good laugh every time. 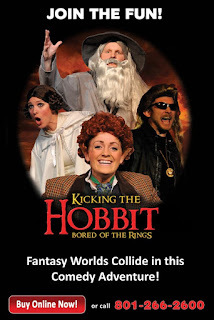 The Hobbit plays at the Desert Star till March 23rd. With only a month left don't be afraid to get you tickets a head of time, they tend to sell out. I have always had a pleasant and helpful experince with the box office, even when having to move dates around. If you have to make changes to your ticket dates, Desert Star is very accommodating in helping you find another night to attend or giving you a credit until you can figure it out. The sooner you book the better seats you get too. 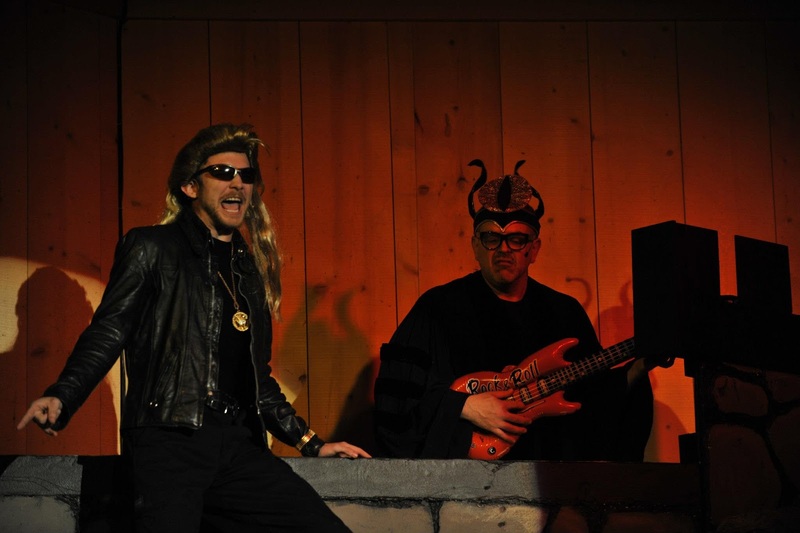 Call their box office at 801-266-2600, and get ready to pee your pants from laughing so hard! The Desert Star has also donated two tickets to their show Kicking the Hobbit. Please leave a comment below to be entered in the drawing. For more entries share this post on Facebook, Twitter, or on your own blog. Leave additional comments for each share. Giveaway closes on Monday, February 25th at 11:59 MST. Winner will be picked at random thru random.org. Winner will be announced the following day. Good Luck! Only ever seen one show there. Looks like fun! Love, love, love this place!!! I've heard this place is a lot of fun. I want to win! I saw this show several years ago and loved it! I am absolutely in love with this place and haven't been able to go since high school. So unfortunate and I have been telling Ben about this place forever. Id love to win and have him fall in love with it too so he will take me more.